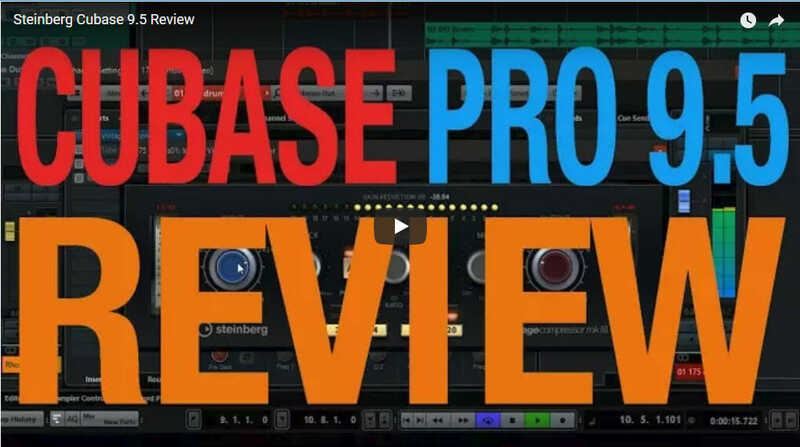 We at Bunker 8, love Doctor Mix and this Cubase 9.5 Review is no exception to that rule. From his sing-song voice, gear lust moments to his ability to make everything music production related just more fun and really interesting. You can tell that Doctor Mix genuinely loves music, instruments, production and being a creative geek. It that kind of genuine affection for what he does which makes his work so great and definitely worth a plug. This review of Cubase 9.5 might change your mind. Here Doctor Mix takes you through Cubase 9.5. It is a point level upgrade and we are on the fence on this one. We love Cubase 9.0, don’t really see that “whole lot more” that this new version provides so we will likely hold off on the upgrade. But watch the video and judge for yourself. Further enhancing the single-window layout in Cubase, new tabs have been added to the Right Zone. The newly integrated file browser provides an easy way to access and pre-listen on media files. Exclusively available to Cubase Pro 9.5, the new metering section for loudness and master signal levels and the Control Room are now both an integral part of the Right Zone as well. Those working with video will be pleased to hear that the new video engine is compatible with the most relevant codecs and external video cards. One highlight in 9.5 is the new Metronome with customizable click and the possibility to assign different patterns to adjust to signature shifts in the Signature Track. Cubase Pro and Artist both add to the flexibility with Click Pattern Editor, which allows click patterns to be tailored to more detail. Other premier enhancements include advanced automation editing, now featuring smooth transition curves and detailed automation lanes, including the new Range tool that marks a range on the automation lane for quick and easy adjustment of the selection. The 9.5 versions of Pro and Artist have also doubled their insert slots, allowing users to add up to 16 VST effects directly to each audio track. The overhauled insert section also provides a flexible means for pre-fader or post-fader positioning. Available to all three 9.5 updates, the Vintage Compressor and Tube Compressor VST processors boast a new look, while the redesigned Magneto tape saturator is exclusively available in Cubase Pro 9.5. The new FLUX wavetable synthesizer library, on the other hand, is new to HALion Sonic SE 3 in Cubase Pro 9.5 and Cubase Artist 9.5 only.